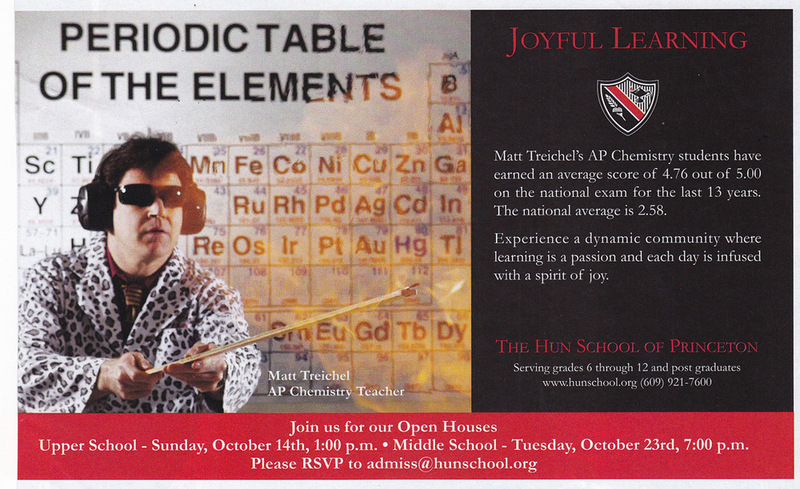 I get excited when it’s open house season for independent schools. I pour over the local print media in my area—Philadelphia and Princeton—and look for open house ads. It’s easy to do because they usually appear in the same section of the publication. And for the same reason, it’s easy to tell which ads hit the mark and which are “whaaa-whaaa” as they appear side-by-side. We all know that print advertising is a dying breed. Some, like Brendan Schneider, Director of Admission at Sewickley Academy, even think that open houses are unproductive and no longer useful. But whatever marketing effort you put forth, make the most of it by doing it strategically and well. Then, when you measure the outcome and it disappoints, you’ll know that your effort was well-conceived and executed, but didn’t have the results you desired. An open house ad should answer the tried-and-true press release questions: who (your school), what (open house), when (date, time), where (location), and why (the benefits of an education at your school). A call to action asking for a response should be included. At the least, this will move the family from “stealth to shown.” At best, they will come to the open house and get excited enough to apply. Think about what the image you choose conveys to the reader. If you’re a coed school, choosing a photo of girls only may lead the reader to assume you don’t admit boys (unless your great descriptor tells them otherwise). Then again, perhaps you’re choosing to picture girls because the school needs more of them, and that’s ok, but make sure your descriptor reads “coed.” I know many schools have tight photography budgets, yet some schools won’t use a terrific photo that is a couple of years old because their internal audience will know. I would rather you use the right photo and not worry about what your internal audience thinks. And while, thankfully, most schools have moved past the “three under a tree” photo (a Caucasian, an African-American, and an Asian), you should still be sensitive to audience and message with regard to diversity. Look at this from the parent’s point of view. “If your school can’t produce an ad free of errors, then why should I send my child there?” Have your ad proofread by someone else, preferably two someones. Look not only for typos and grammatical errors, but also for consistency, like AM vs. a.m., Jan. vs. January; January 23 vs. 23rd, and eighth grade vs. grade 8 vs. 8th grade. Watch for arbitrary or inconsistent capitalization. Adhere to your style guide to keep yourself on track. Most ads avoid spelling errors, but consistency errors are common. Deliver at least one of your brand messages and show EXCITEMENT! Most of the ads in our sampling don’t contain brand messages. This is disheartening, because I know at least some of these schools have gone through a formal branding process and should be promoting their messages. Perhaps they are Brand Message Drop Outs, or they didn’t know how to incorporate messages into these ads. Either way, it’s a lost opportunity. Get your audience excited and interested in your school by moving past just the facts. Tell them why it’s worth it to pay tuition and become part of your school. Perhaps do a series of ads starting with “Why?” as the headline. A great way to see if your ad will have the impact you want is to print it, cut it out, and place it on a page of the actual publication where you’re buying space. Does it grab your attention? Is it too crowded? Is the font the right size? What does the photo say about your school? Think about the other points made in this post and be critical. Better to make changes now before it goes to print. 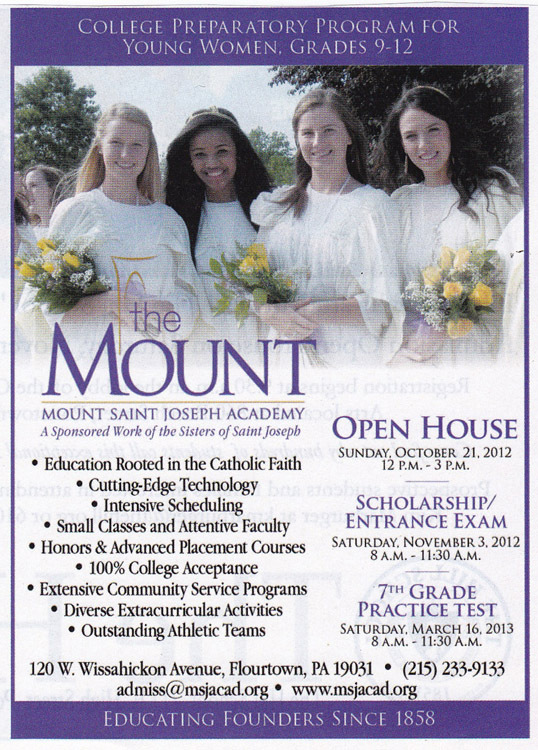 Here are some sample ads from a previous admission season. What do you think? How many of them matched our guidelines above? Get brilliant ideas and brain food to make your job easier at InspirED School Marketers.